Advanced Logic is also this year Silver Sponsor of Meet Magento Belarus. 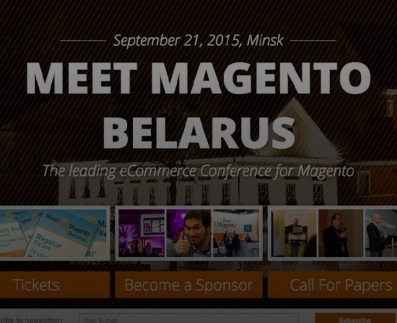 After one year from the 2014 partecipation, Advanced Logic is sponsoring the event Meet Magento Belarus 2015, the second edition of the Belarusian stage of the known series of conferences dedicated to the Magento Community organized by the Magento Industry Partner Amasty. Meet Magento events represent an important point of contact between online merchants, and Magento specialists and developers.